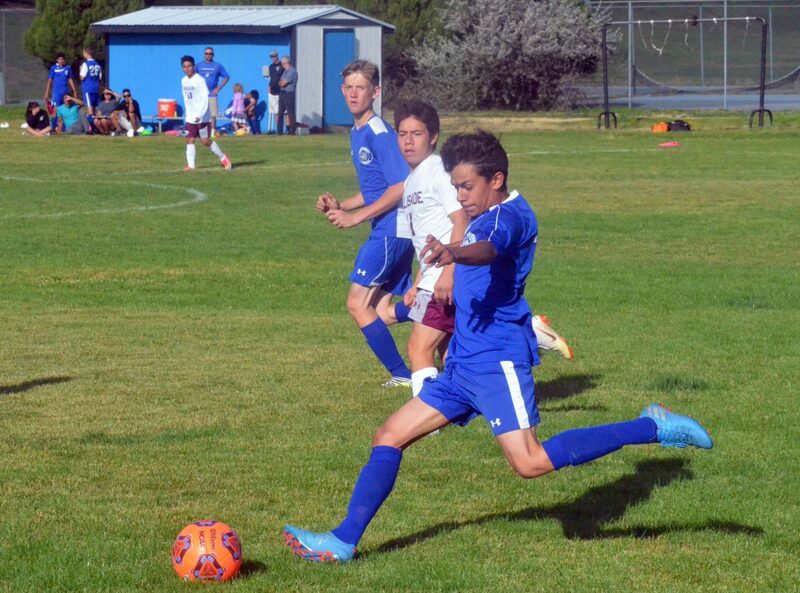 Moffat County High School soccer pushes forward during a game against Palisade. Following a Homecoming week game with Aspen, the Bulldogs travel to Basalt next week. 9 a.m. Moffat County High School and Craig Middle School cross country at MCHS Invitational at Loudy-Simpson Park, 600 S. Ranney St.